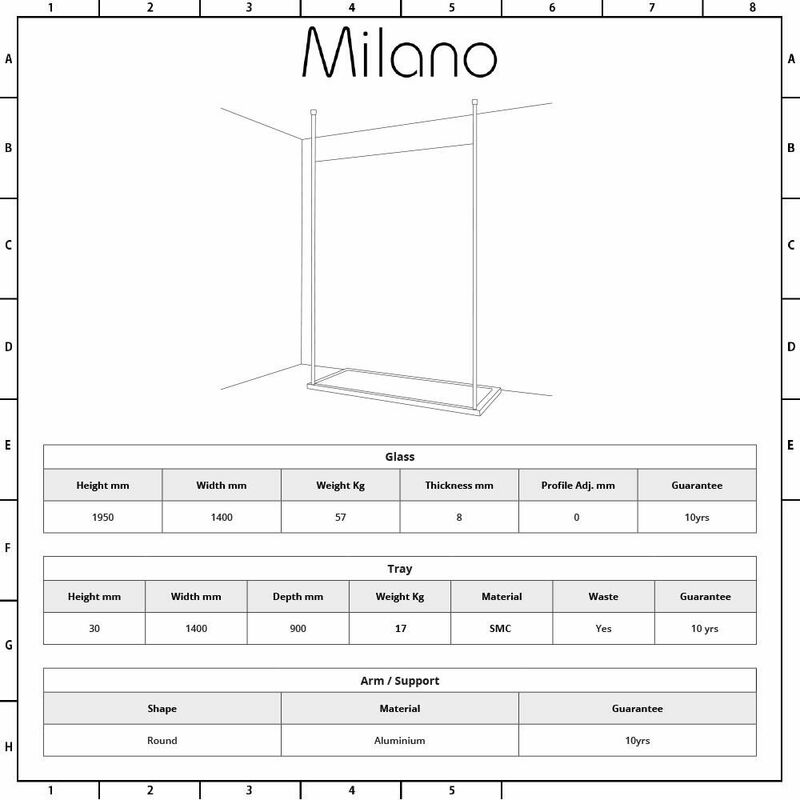 The Milano floating glass 1400x900mm walk-in shower enclosure with ceiling poles, is a stunning way to add designer styling to your bathroom or en-suite. 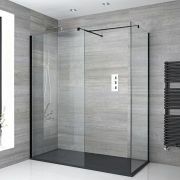 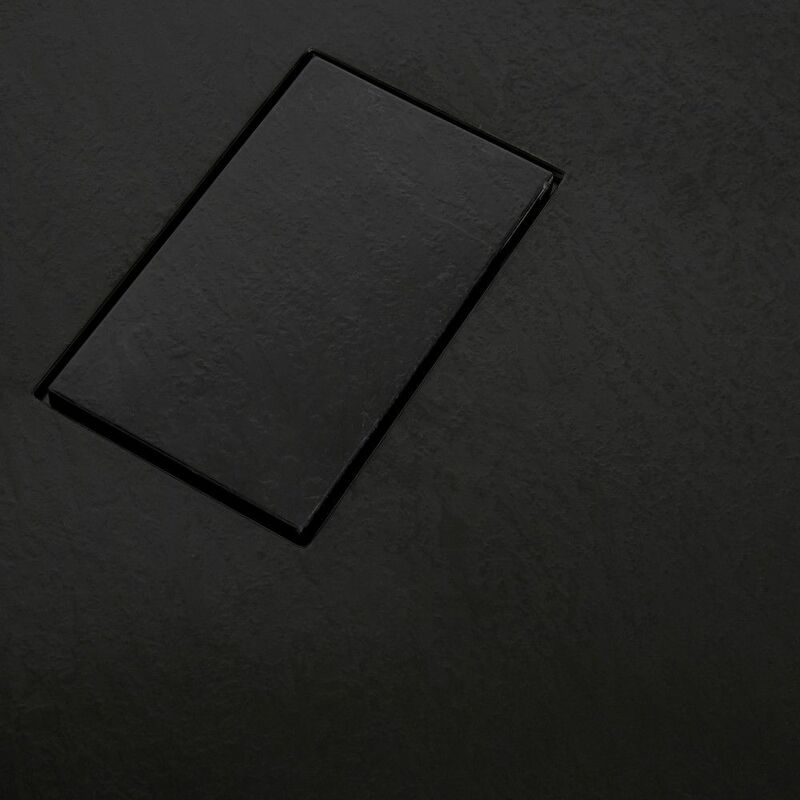 Providing easy access in and out of the shower, this floating glass enclosure features 8mm toughened safety glass with an easy clean protective coating and a striking slate coloured shower tray. 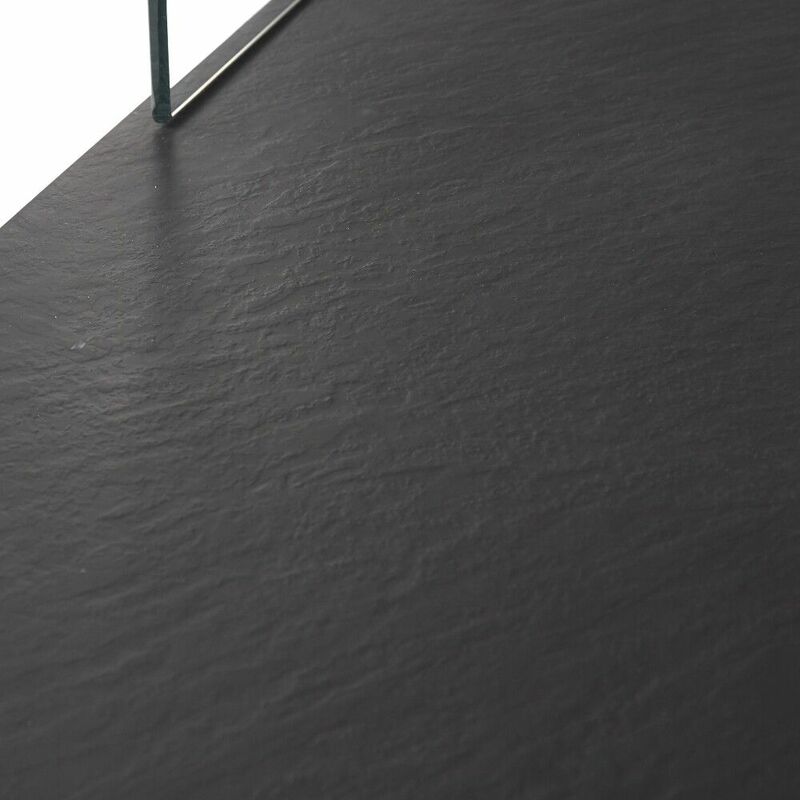 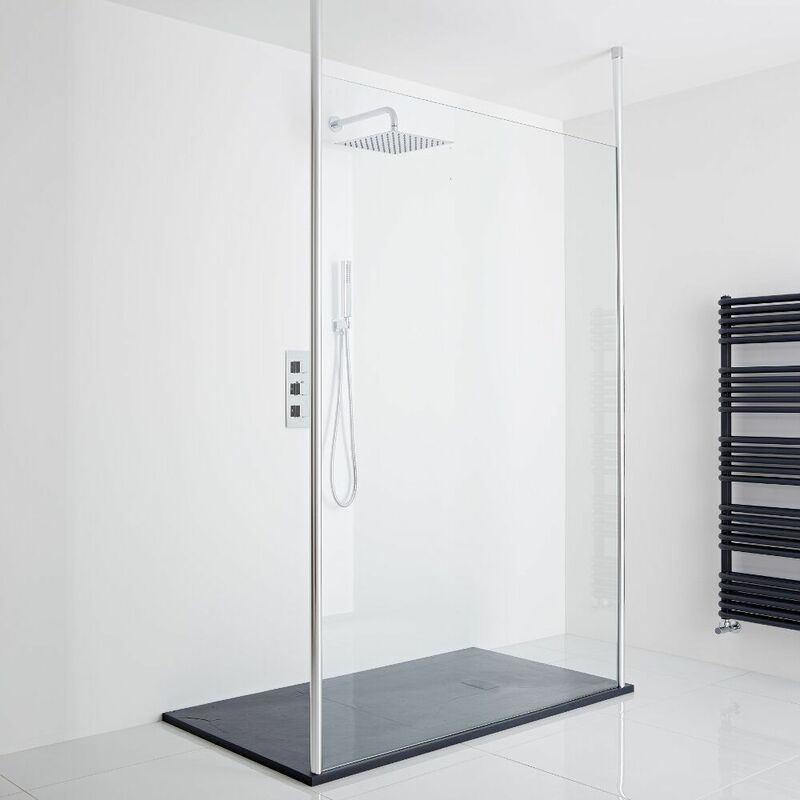 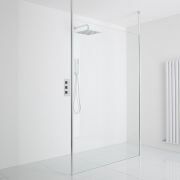 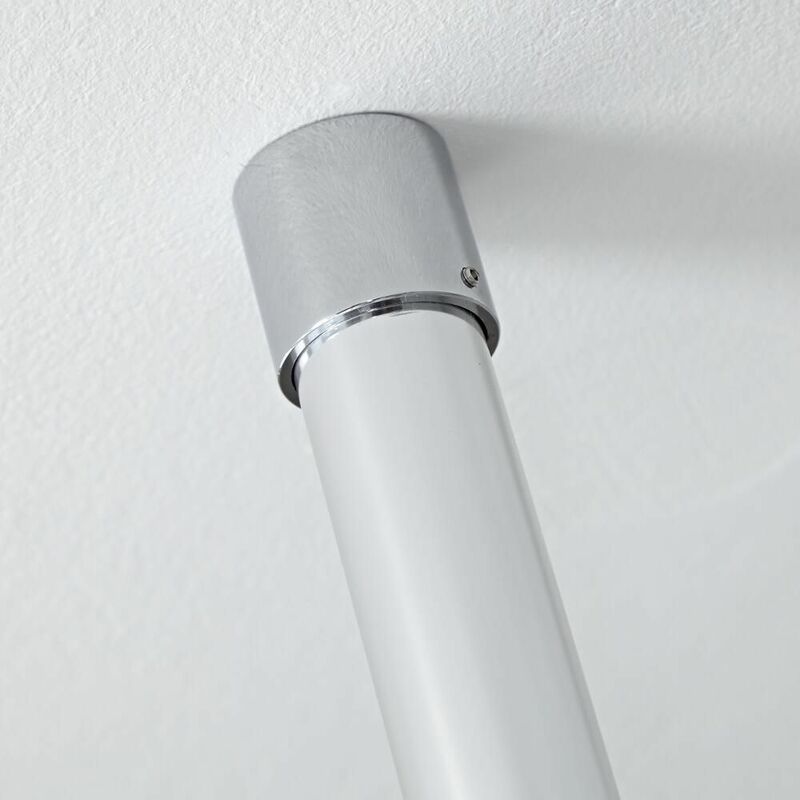 The glass panel measures 1950mm in height to catch more splashes, has a width of 1400mm and an aluminium frame that blends in brilliantly with any bathroom décor. 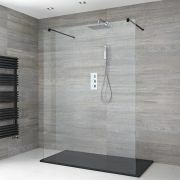 This floating glass enclosure comes with 2 floor to ceiling poles, a slate shower tray and a plastic waste.